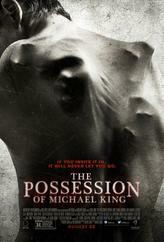 The new horror film The Possession of Michael King is released in August. The film tells the story of documentary filmmaker Michael King (Shane Johnson), who doesn’t believe in God or the Devil. Following the sudden death of his wife, Michael decides to make his next film about the search for the existence of the supernatural, making himself the center of the experiment – allowing demonologists, necromancers, and various practitioners of the occult to try the deepest and darkest spells and rituals they can find on him – in the hopes that when they fail, he’ll once and for all have proof that religion, spiritualism, and the paranormal are nothing more than myth. But something does happen. An evil and horrifying force has taken over Michael King. I like horror movies.I am waiting for this movie.